A taskforce which will directly support up to 80 organisations as they deliver significantly more affordable self-build and community-led homes across the UK. To enable and increase enable the growth of affordable self-build housing schemes. Better access to information, support, advice and technical expertise that is needed to progress a scheme. 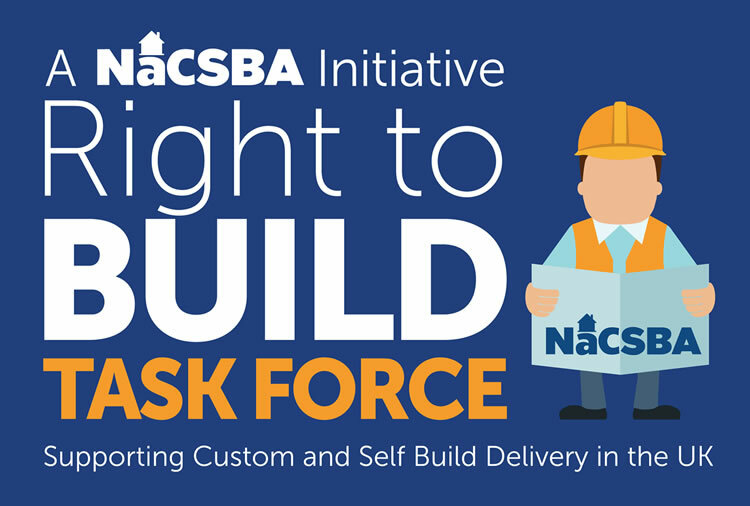 Nacsba is leading the creation of an expert taskforce to enable the growth of affordable self-build housing schemes. The taskforce will directly support up to 80 organisations as they deliver significantly more affordable self-build and community-led homes across the UK. This taskforce will comprise of independent experts to provide bespoke advice to councils, community organisations and housing providers. Nacsba estimates that recent legislative changes will mean more land will be allocated for affordable self-build and community-led homes. This could deliver between 5,000 to 10,000 additional homes by 2020; and by 2030 the taskforce could have helped boost output from current levels of around 12,000 homes a year to more than 30,000 a year. This funding complements the success of previously funded work, which resulted in the launch of the Right to Build toolkit enabling more local authorities to help groups and individuals to create decent affordable homes, via methods of custom and self-build. The online toolkit houses case studies and briefing papers to support community groups and councils to identify land for this form of housing, how to engage with building developers and information on available finance products.